The New York Film Academy’s 3-Week Acting for Film Camp for teens offers young actors the one-of-a-kind opportunity to study the craft of acting with industry professionals in exciting settings around the world. Held during the summer, the 3-Week Acting for Film Camp fits perfectly into most campers’ summer schedules, giving them an unforgettable experience as they learn the skills and techniques to act for film. Campers split their time between in-class lectures, instructor-supervised workshops, and auditioning for and acting in other students’ films. A number of special topics like Shakespeare, stage combat, and dialects add variety. Classes and workshops are structured to challenge campers to create and control a character amidst the many demands of a film set. Techniques including Stanislavski’s System, the Method, and the Meisner technique are explored, and campers perform exercises, scenes, and monologues for the camera. The structure of the camp’s classes and workshops is meant to challenge campers to construct and control a character amidst the many challenges that come with acting on a film set. Over the course of the camp’s three weeks, students participate in a number of different classes that serve to supplement the fundamentals taught in Acting for Film and Monologues as well as receiving an introduction to the craft of filmmaking. Upon successful completion of the camp, students receive a New York Film Academy certificate and a copy of their work. 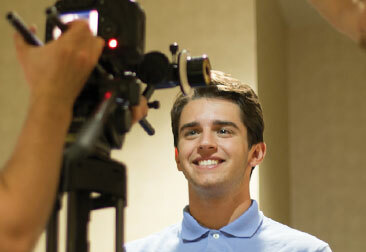 Interested to learn more about the 3-Week Acting for Film Camp or apply today? Click here to learn more about the application process.